Film crews loaded and unloaded gear along Sixth Street in downtown Cincinnati Wednesday morning. Shooting for the film "Dry Run," is scheduled all day in the Central Business District. Actor and producer Mark Ruffalo gave a wave has he rolled up to the set at the Federal Office Building. CINCINNATI — Film crews loaded and unloaded gear along Sixth Street in downtown Cincinnati Wednesday morning. 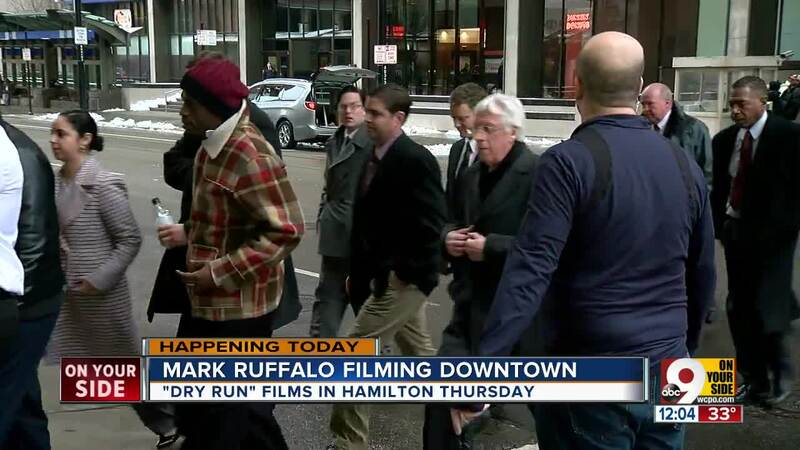 Shooting for the film "Dry Run," was scheduled all day in the Central Business District. Actor and producer Mark Ruffalo gave a wave has he rolled up to the set at the Federal Office Building. "It's pretty exciting seeing the streets closed, all the camera work, all the directors and stuff running around. It's been pretty exciting whenever it comes to Cincinnati," said Kenneth Watson, who drove from Lexington to catch of glimpse of Ruffalo. "It's just fun, just gets you out of your comfort zone," said extra Stuart Engle. "Dry Run" is based on the true story of Cincinnati defense attorney Robert Bilott, played by Ruffalo, who filed an environmental lawsuit against chemical company DuPont and exposed decades of chemical pollution. 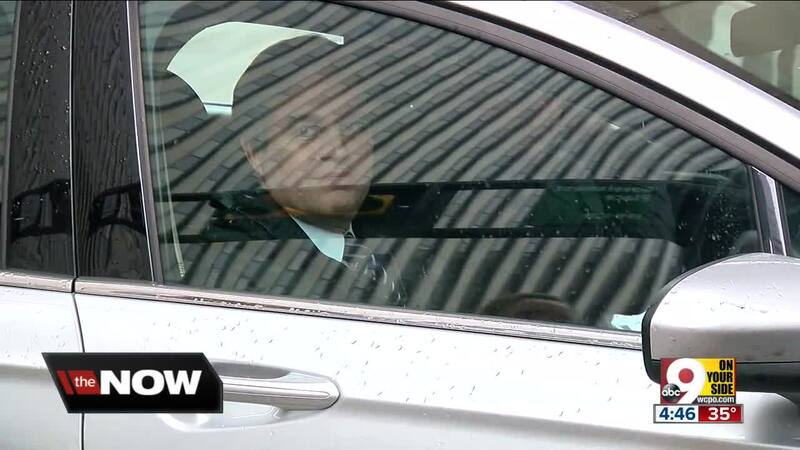 Ruffalo’s co-star Anne Hathaway has yet to be spotted in the Tri-State. Filming Downtown wrapped up Wednesday before the crew heads back to Hamilton where shooting is also taking place.